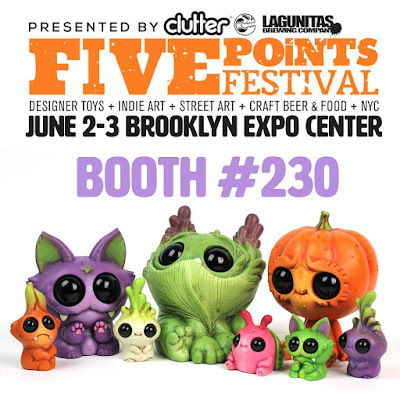 The Blot Says...: Chris Ryniak’s Five Points Festival 2018 Exclusives! 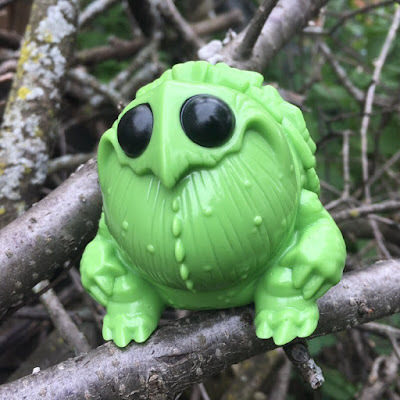 Chris Ryniak’s Five Points Festival 2018 Exclusives! Chris Ryniak and Amanda Louise Spayd are heading out east this weekend and setting up shop at Five Points Festival 2018 in Brooklyn, New York! One of your first stops should be their booth #230 to check out all these fantastic new resin figures that will be sold exclusively at the Five Points Festival. First up is Dashi, a super cute kitty that will be available in two sizes, mini and mid-size. The first Eggplant Edition is limited to just 10 pieces. Then there’s the Succulent Dewlap, which will also be released online after the convention. And check out Howden, an adorable little gourd that will be making his world debut at Five Points Fest. This figure was designed by Ryniak, 3D modeled by Brian Oskins and cast by Eric Carlson. 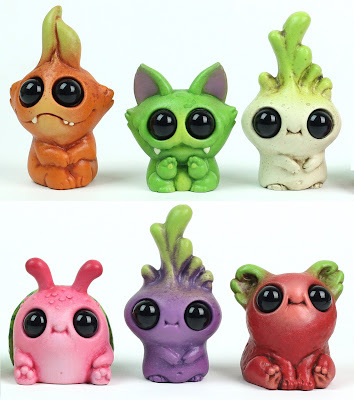 Ryniak will also be releasing a whole crop of mini Veggie Critters in a variety of vegetable inspired colorways. These are ripe and ready to be harvested by collectors this weekend at FPF! But that’s not all… meet Algonac, the newest collaboration between Chris Ryniak and Squibbles Ink + Rotofugi! This Spring Green Edition, the first colorway of this new vinyl figure, will debut at Five Points Festival 2018 this weekend and can be purchased at FPF booth #236.